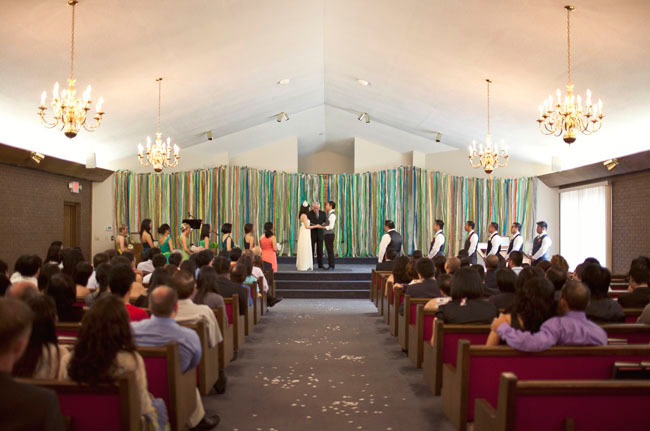 Mimi + Ben’s sweet handmade wedding took place at their church in Charlotte, North Carolina, followed by a reception in the church’s gym. 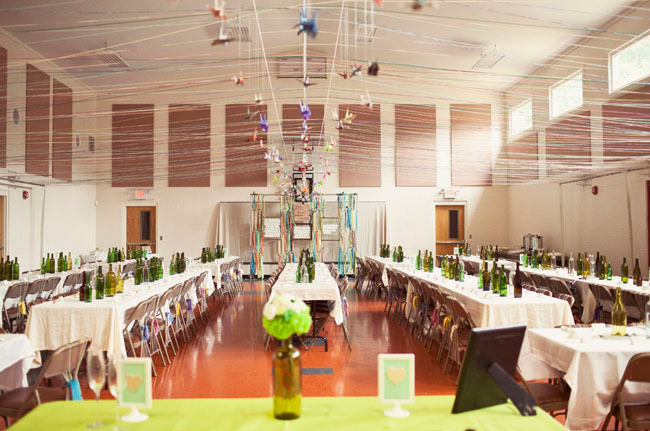 I think this is the first reception I’ve seen in a gym, but Mimi did such an amazing job with the decorating! 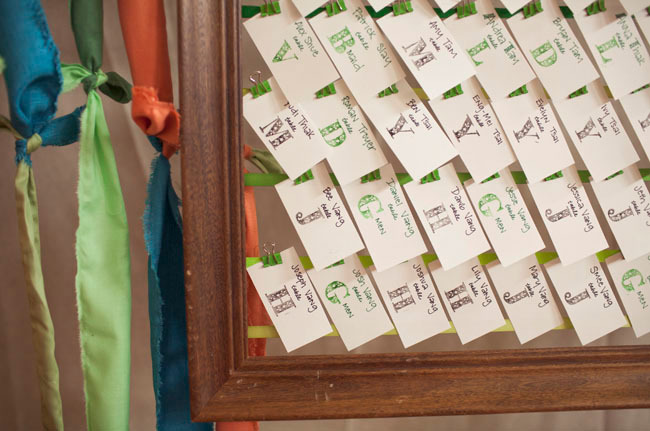 Lots of handmade details including etched bottles, paper bouquets, origami birds, walls of ribbons + Scrabble letters! 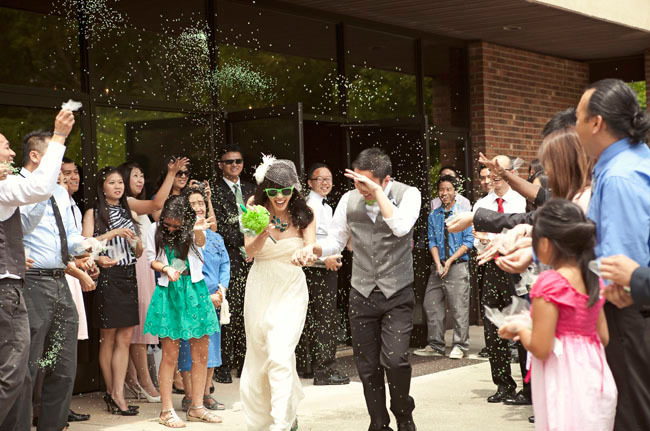 The wedding was a modge podge of all things DIY, but to keep it from going too crazy, they settled on the color green – all shades of it – because Mimi’s favorite color is green (we are pretty big fans of green too! 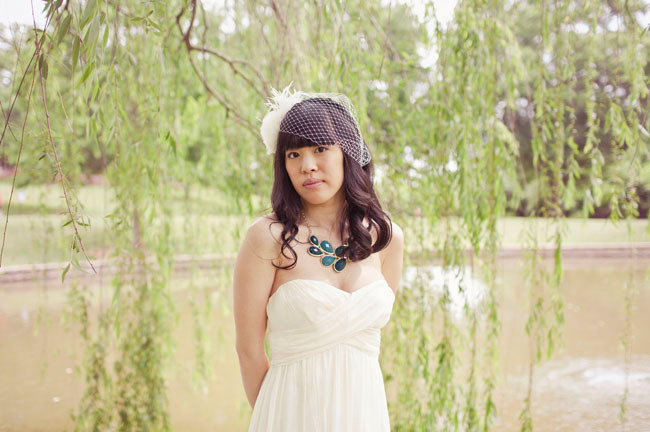 :) Her engagement ring is even a green stone (Peridot). I also love that they incorporated their love for the game of Scrabble into the day. 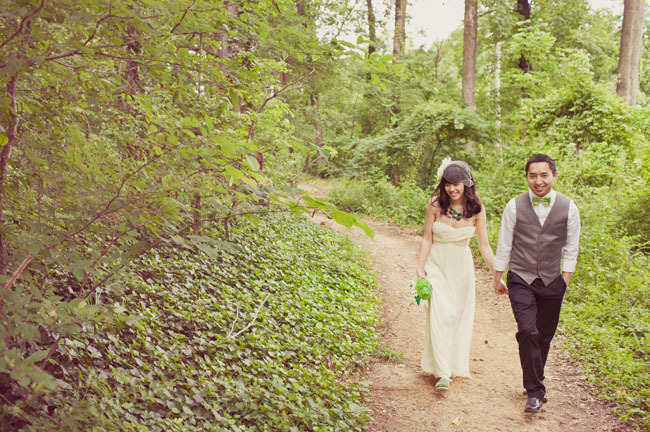 When Mimi was studying abroad in Costa Rica for 4 months, Ben + Mimi passed the time together on Skype playing Scrabble. Big thanks to Jagger Photography for the photos today! Mimi made all the bouquets for each of her gals! 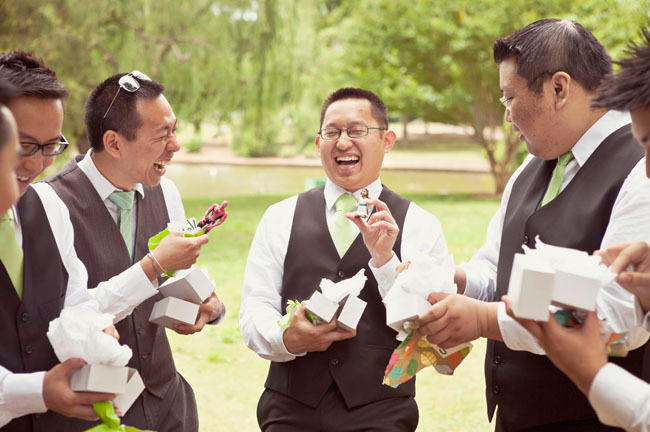 Mimi asked the boys who their favorite super hero was and ordered figurines to make them “boutonnieres” – how fun! 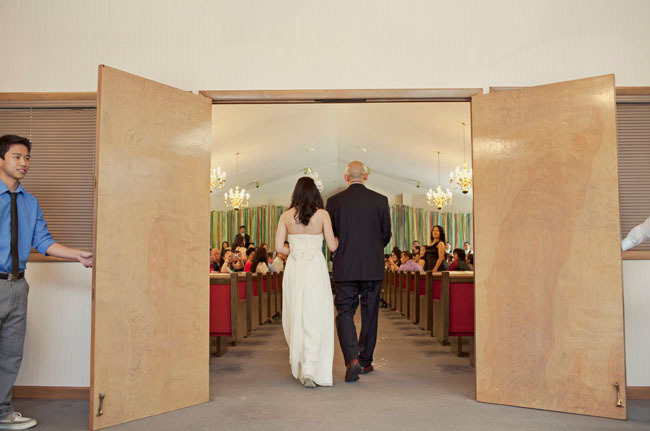 Our processional was Boyce Avenue cover “Just the Way You Are.” During the first verse, the flower girl walked down the aisle. 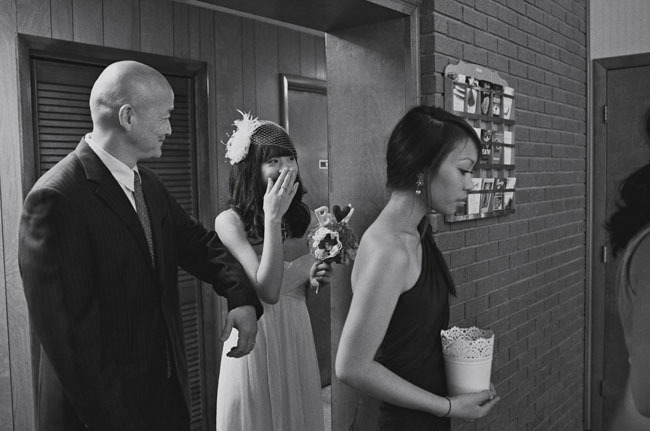 By the time she arrived at the front, the song hit the first line of the chorus which says “When I see your face, there’s not a thing that I would change,” the back doors opened to me walking in. 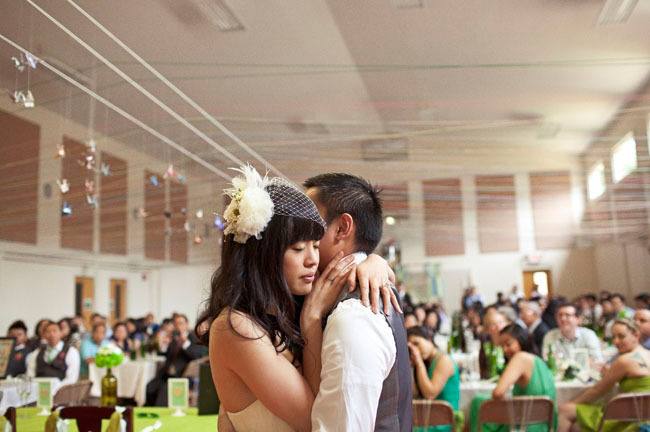 I looked down the aisle, found Ben’s eyes & never looked away. The timing was beautiful. The first time we practiced this in rehearsal, as soon as the doors opened to the song, all the girls gasped, ahh-ed, then cried. Ben was even crying. Mimi - I can't pick just one! I loved the walk down the aisle, the feel of the wedding ring slipping onto my finger during our vows, and the first kiss we shared as husband & wife. But I think what took the cake (not just for me but for a lot of the guests who've told me about it later) was the father daughter dance. We danced to the song "Butterfly Kisses" by Bob Carlisle. My father & I use to sing this song when I was little, & even at that age, I knew I wanted this to be the song I danced to with my dad. There was not a dry eye in the building, so I'm told. But I didn't pay attention. 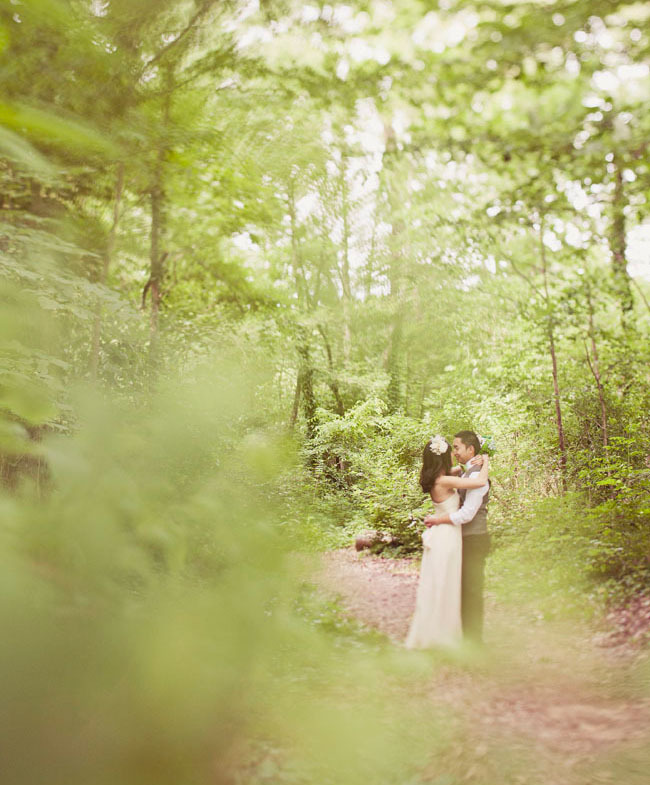 My eyes were closed the entire time while I breathed in the scent of my father & the feel of his arms around me & his head leaning against mine. I know it's so cliche to say this, but honestly I saw my life flash before my eyes & all the wonderful moments I have had with my dad. I could not have felt more loved in that moment. 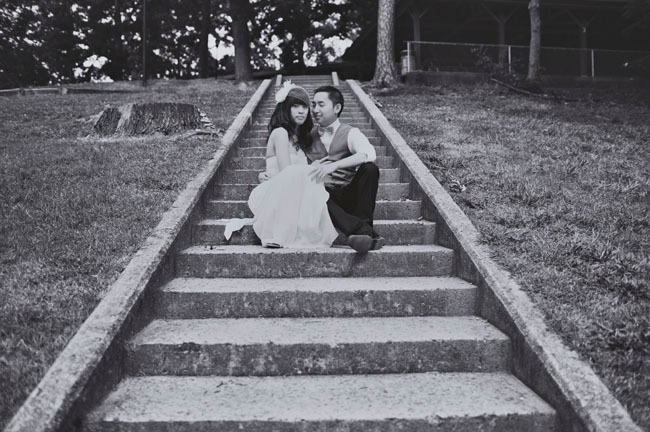 Ben - For me, the most memorable moment was when the church doors opened & I saw Mimi – my bride – walk down the aisle towards me. It was surreal. 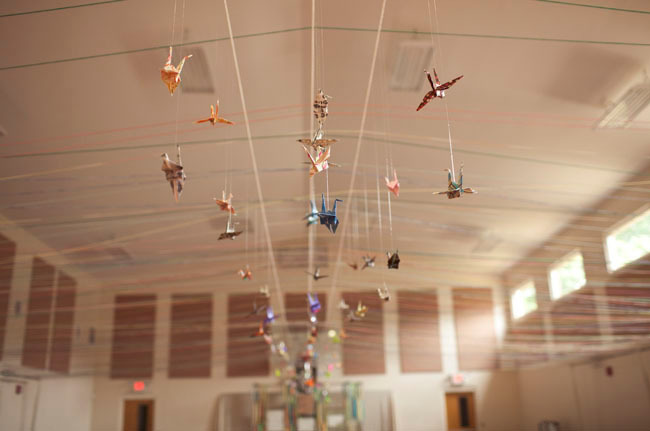 The whole ceiling was covered in layers of colored string – pretty amazing! We both agree that planning should not be everything. Of course it's a fun thing that ya'll do together, but don't make it everything. Still find time to relax with each other & not plan & plan & plan. Ben & I had to make a conscious effort to do this. Also, make the wedding about the two of you. Don't let anybody else take over that you do not want. Never be afraid to ask for help. 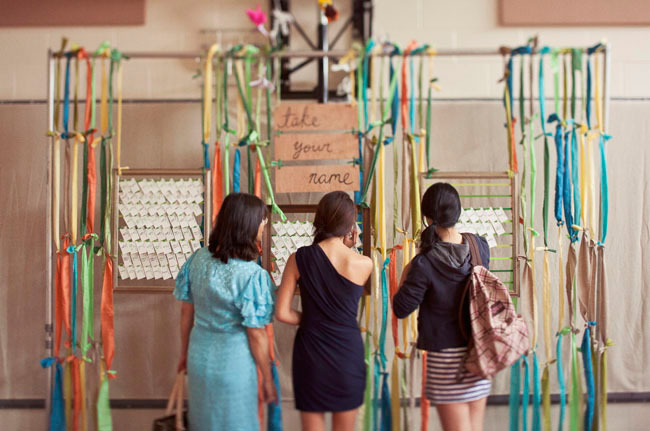 I had some amazing girls around me who were so supportive, encouraging, & helped me complete a lot of my DIY wedding projects. I would have been a stressed-out mess without them! 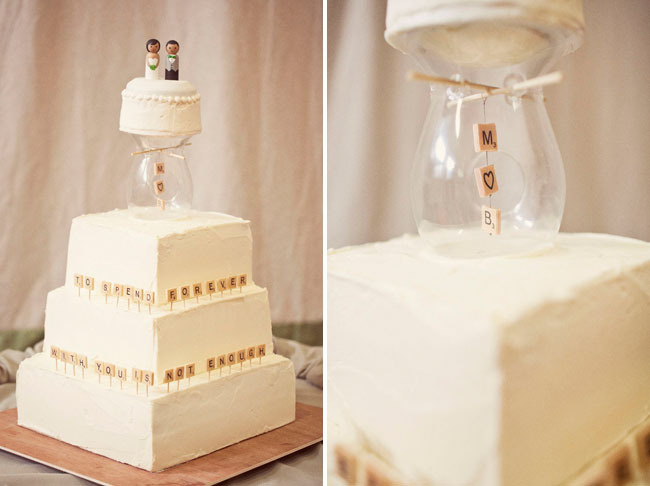 OMG this wedding is just sooo adorable! 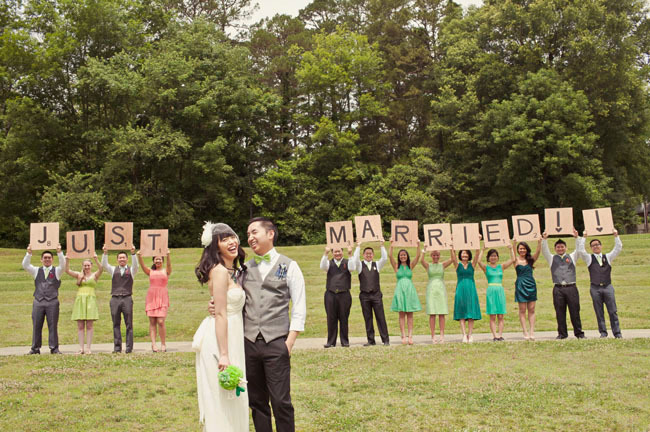 I’m a big scrabble myself and incorporated some into my wedding but this is just way too cute! 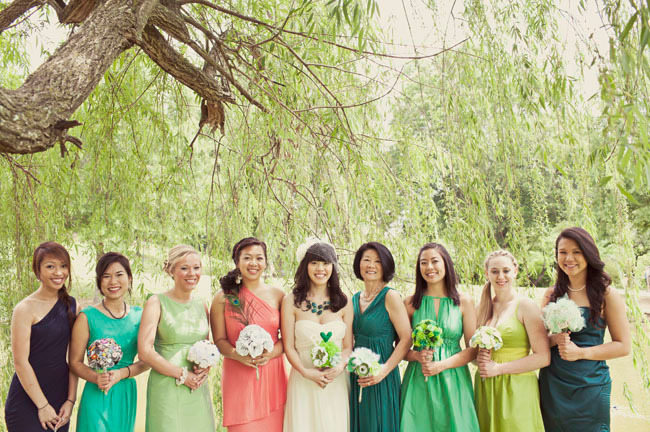 I can’t believe the bride made all those bouquets! Gorgeous! 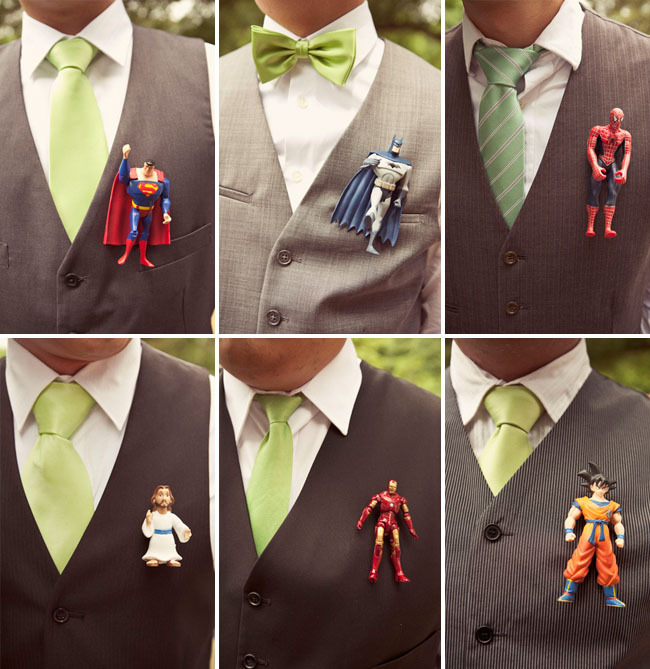 Oh and those superhero buttonholes? Awesome!! 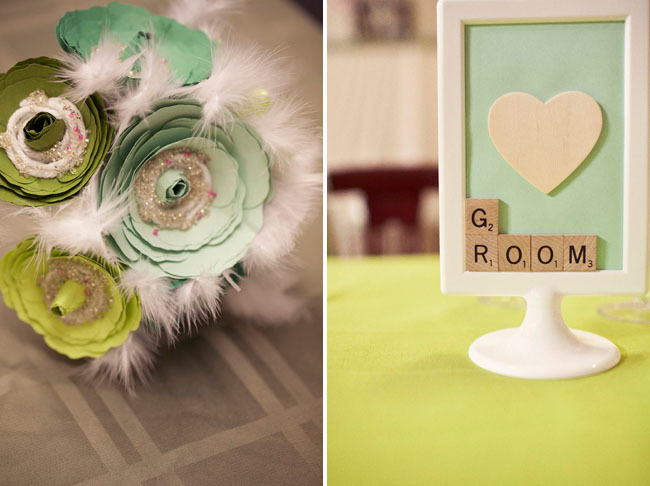 I love all the scrabble tiles and the superhero figurines as boutonnieres. It’s such a fun touch. Woo hooo! 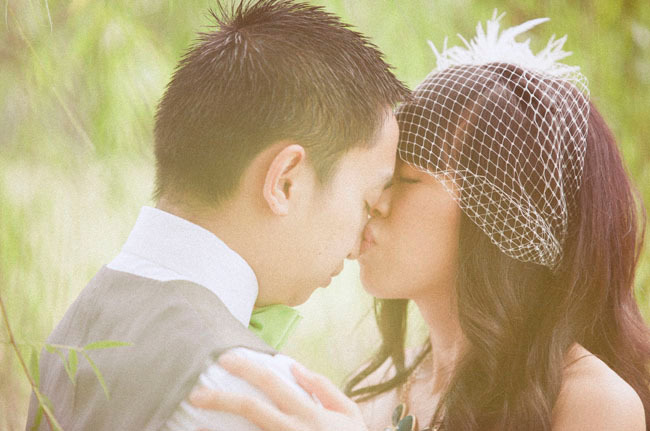 Thanks Jen for posting this wedding, it was amazing to shoot and some of the best details we’ve seen. We knew you’d love it!! 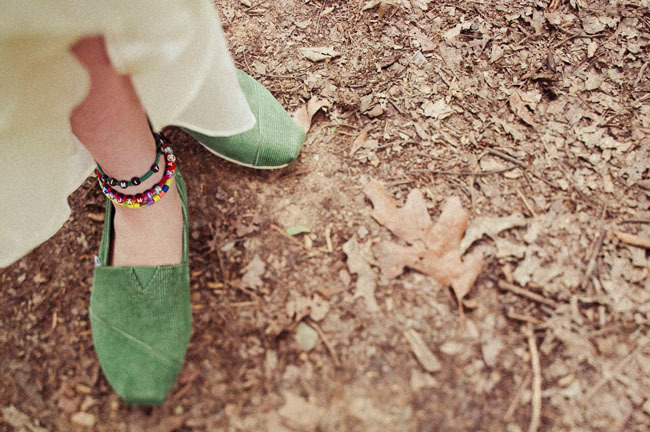 Pingback: we got featured on Green Wedding Shoes! 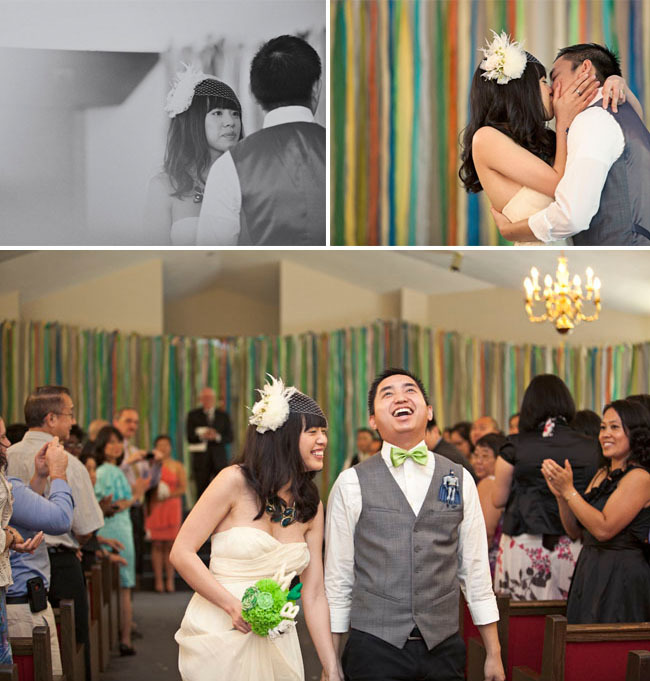 « before we say "I Do"
WOW! So many details to love! Amazing! 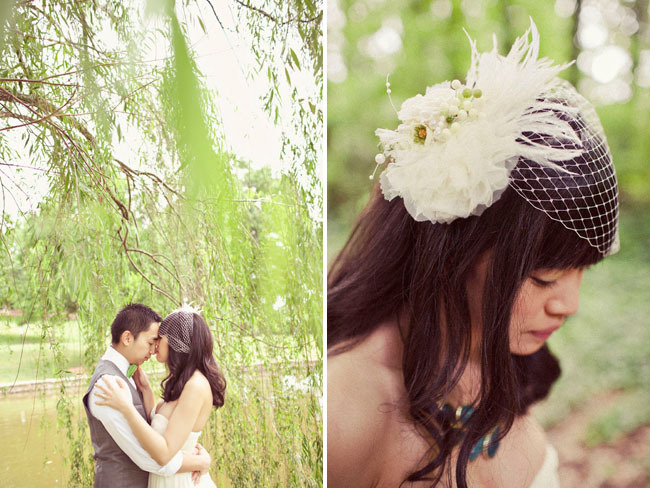 Those boutonnieres are cute. Can I ask where you ordered them from? 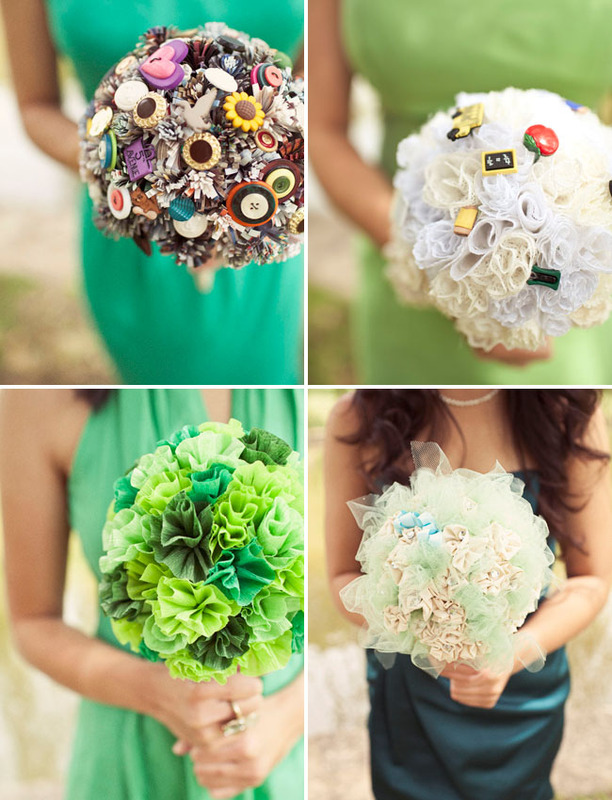 my fiance LOVES the boutonniers! how can i found out where to order them from?? 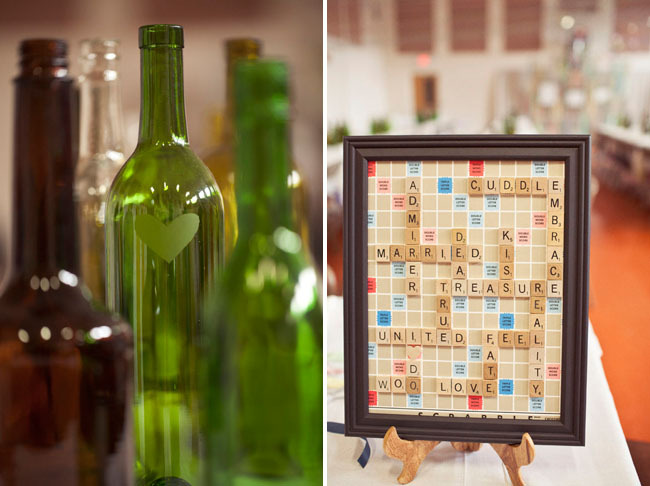 Love this idea… so much so that I make wedding signs and other home decor out of scrabble tiles that I photograph. 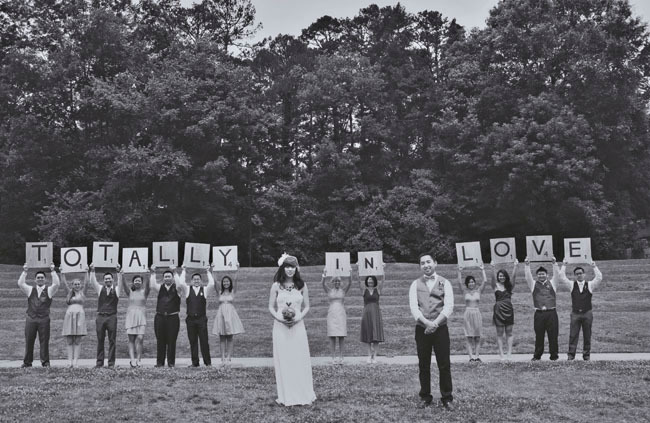 Love your wedding. Looks like it was tons of fun! 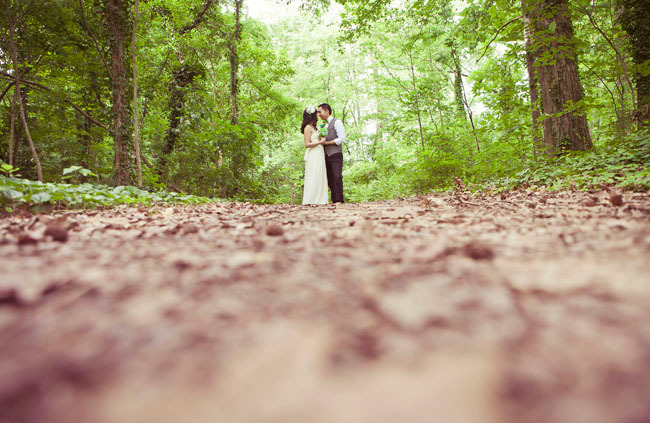 Your wedding is incredibly beautiful! 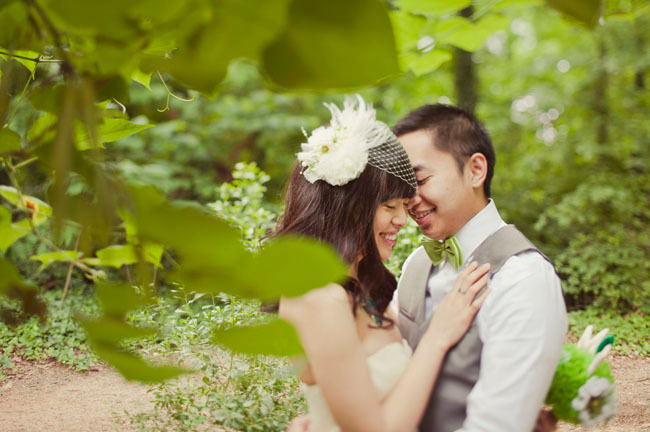 My fiance is using your awesome idea of Superheros’ boutonnieres. 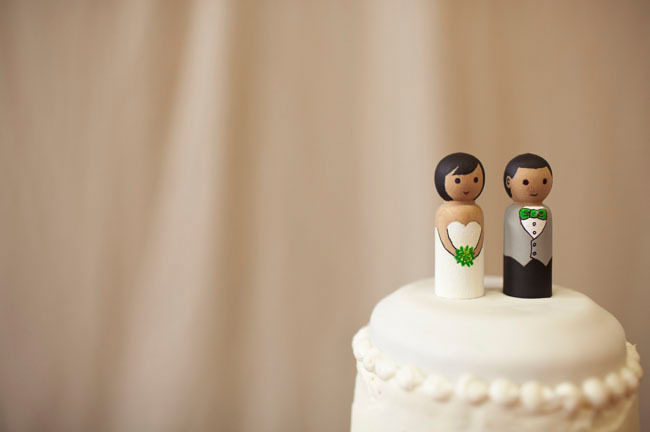 Would like to ask how do you make the figurines into boutonnieres? 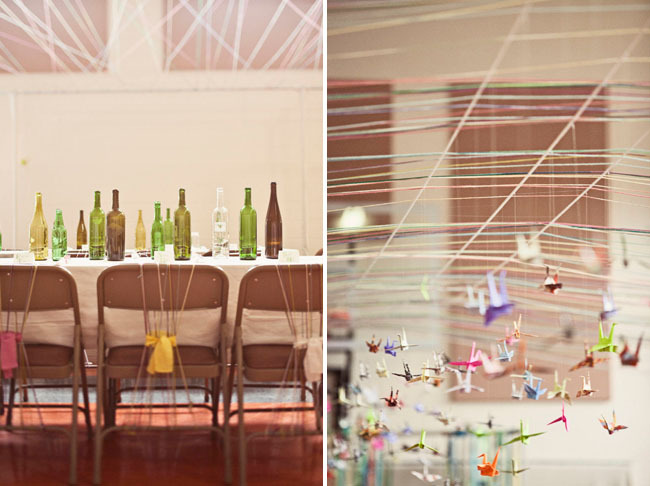 Loved the creative wedding idea’s! May I ask where you purchased the super hero figurines? My cousin is getting married in May and really wants to do that superheroes for the groomsmen. I was wondering what size superheroes you used and did you just hot glue pins to the backs of them?! Thank you so much! !